This festive cookie recipe from “The Art of Fine Baking” was actually recommended by a few of you readers. 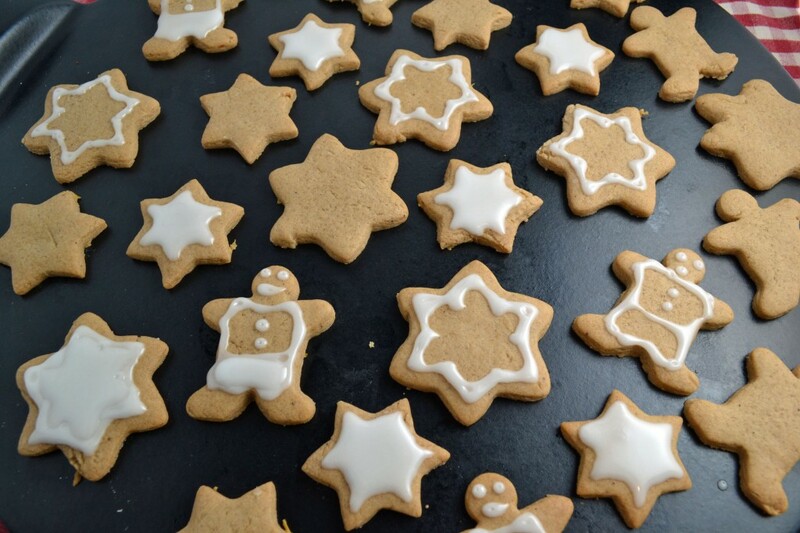 Lightly spiced but with a brightness from the lemon zest, they are the perfect alternative for ginger cookies. Cut them in whatever shapes you like and eat them with or without icing. This versatile cookie can be served for dessert, with tea, as a fix for that sudden sugar craving, or even left out with a glass of milk for Santa. I may just have to make this a new holiday baking tradition. Cream butter with sugar. Add syrups, lemon zest, and rum. Mix well. Add flour mixed with salt, baking soda, and spices. This should make a soft dough. Chill dough until firm enough to roll. Preheat oven to 350 degrees. Grease and flour baking sheets. On a well-floured cloth, roll dough very thin (less than 1/8 inch, if possible). Cut into desired shapes. 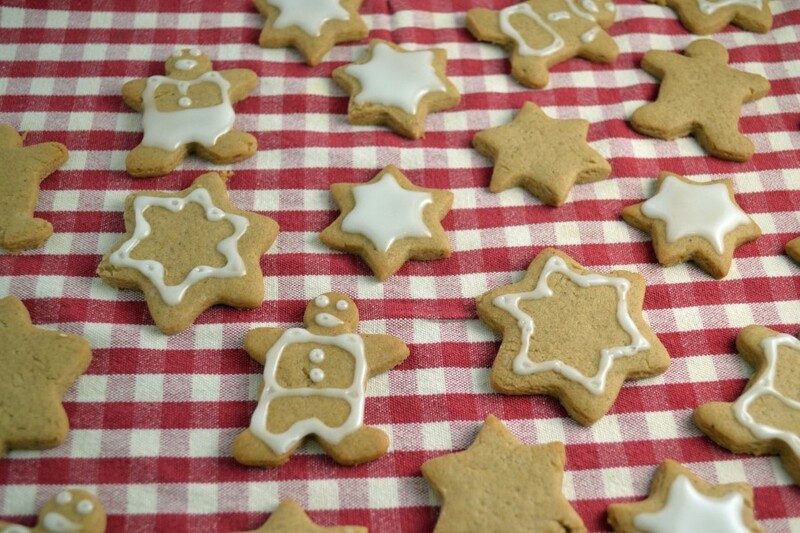 Transfer cookies to baking sheets with a spatula. Bake 8-10 minutes, or until cookies are puffed and lightly browned. Cool and frost (if using icing or frosting).